You don’t have to settle for “so-so” free baby hat knitting patterns. Go for the gold! Ah, baby hats. I’m sure we can all agree there’s no such thing as an ugly or boring baby hat, right? Their wee size alone makes them precious. All the same, don’t you sometimes want to break out, away from the ordinary? Do you ever want to knit a baby hat that’s adorable not simply because it’s tiny, but also because it’s darling in its own right? 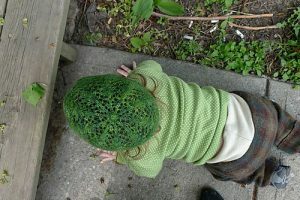 That’s what makes this collection of free baby hat knitting patterns so fantastic. These all have a special quality that makes them even more adorable than the typical baby hat. The link below is an affiliate link; if you make a purchase after clicking, I may make a small commission (it costs you nothing extra). Thanks for helping to support my site! So settle in with your favorite mug of tea, ooh and ahh over the cuteness, and pick your favorite to knit! 1. The Apple Hat This is one of those free baby hat knitting patterns you’ll love to play around with. 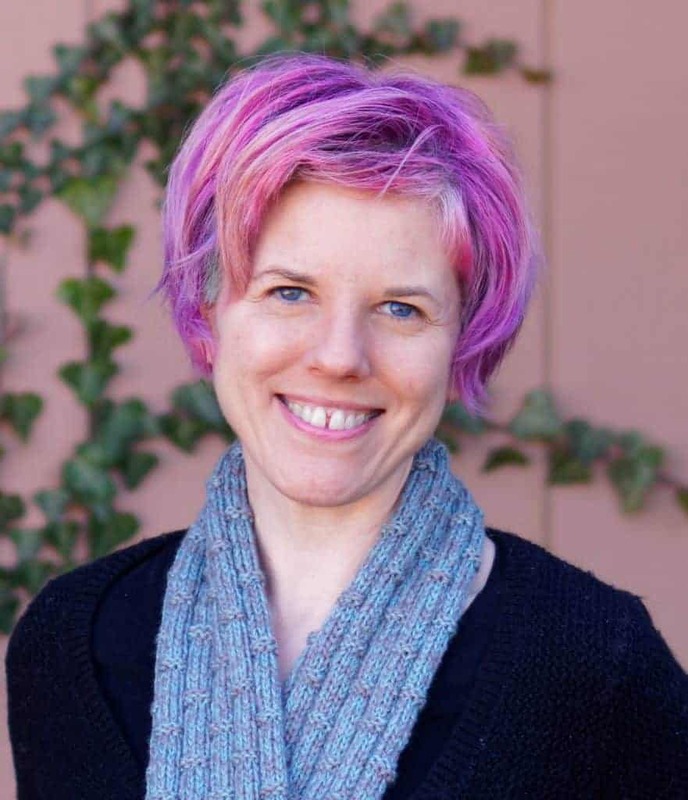 Of course the apple pattern itself is adorable, but you can play with the color of yarn and the way you decorate it to make pumpkins, snowman heads, or whatever strikes your fancy. This too-cute hat is bound to appeal to any mom and elicit squeals of admiration from baby’s adoring public. 2. Vine Lace Baby Hat The vine lace pattern evokes a sweet Victorian baby lying in the comfort of her pram. This hat is pretty and far simpler to make than it looks. 3. Court Jester You can knit this fabulous court jester hat in simple neutrals if you’re a conservative type experimenting. Or if you’re feeling more daring, use all the colors of the rainbow! There’s no way a baby could fail to look adorable in this little hat. 4. Spotted Puppy Hat You know you’ve always wanted to dress a baby as a Dalmatian, right? Here’s your chance. This fantastic pattern works dark dots into a light background. Result: the perfect spotted puppy hat to charm any newborn’s heart. And that’s based in science! Studies show that for the first few months of their lives, babies see black and white more easily than color. So even if it’s not mommy’s favorite hat, it’s sure to be baby’s. 5. 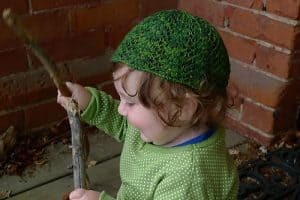 The Grow-Along-With-You Hat Have you ever felt like it’s a waste of time to knit a baby hat that the baby will outgrow in a month? Well, this baby hat pattern is an answer to your prayer. It’s reversible: one side is 2-4 months old, and the other side is 5-8 months old. This hat keeps on giving for almost the first year of baby’s life. There’s no need to settle for ho-hum when you’re knitting a baby hat. 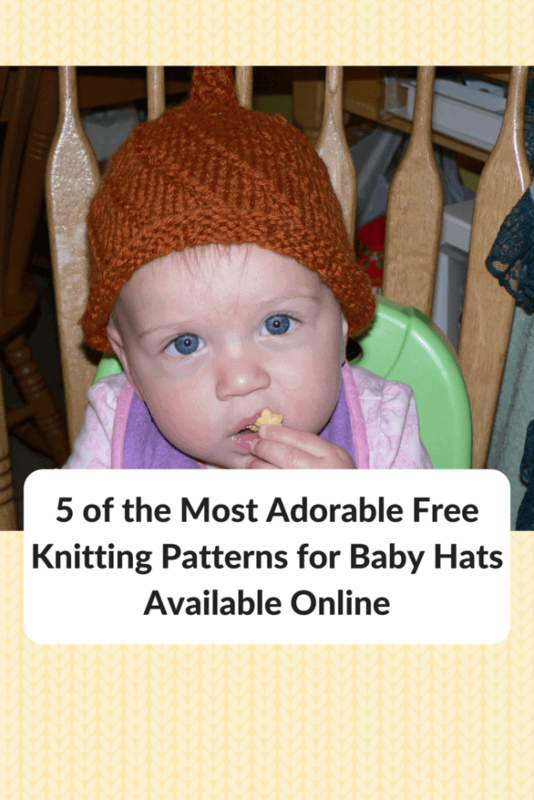 Choose one of these free baby hat knitting patterns and go for the gold medal of adorableness!